Is Day Camp Right For My Dog? Too often, time commitments make it almost impossible for a pet owner to provide a daily walk, some exercise time, or a real socialization experience for their pet. Many pets who are well-behaved when their owner is home become mischievous while they are gone. 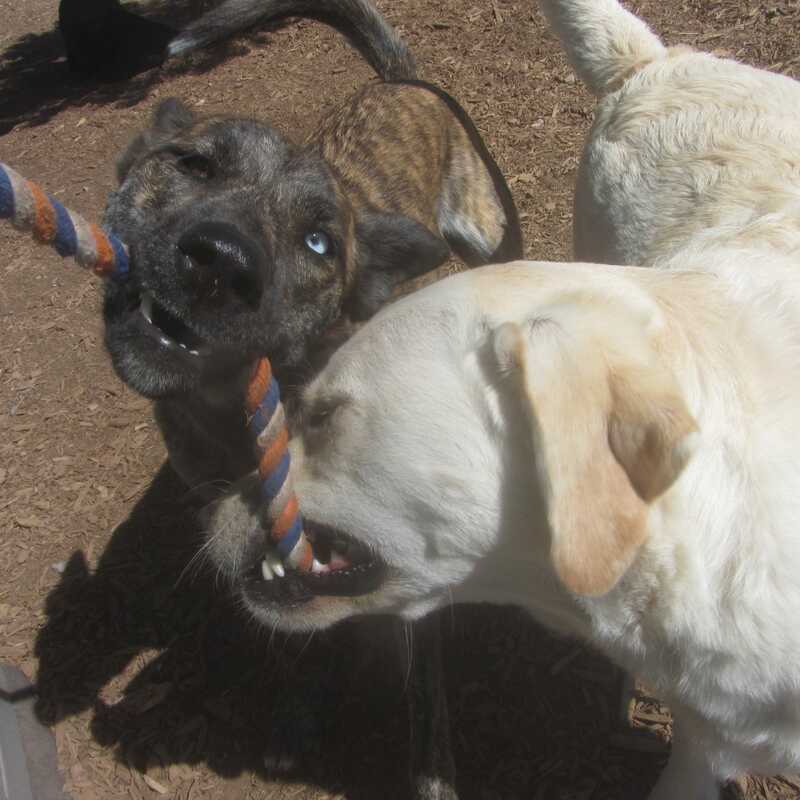 If you’ve ever come home to chewed furniture, shredded carpet, or housebreaking surprises… your pet may be the perfect candidate for "Playful Paws" Day Camp! Dogs are able to socialize with other dogs in a group setting. Issues deriving from boredom and loneliness are eliminated. Dogs are mentally and physically stimulated, keeping them happy and balanced. We help shy and fearful dogs become more confident. We help polish up obedience commands.